Welcome to Easy Cleaners – a network of local cleaners around Walsall and the West Midlands covering domestic and commercial cleaning services. We know that your time and money is precious, which is why we focus on making the whole process easy for you, so that you have more free time (and money) to do what you really want to do, and get complete peace of mind from letting us do it all for you. Our 48-hour full money-back guarantee proves this. If after any job you are not completely satisfied then we will immediately resolve and refund, no questions asked. In terms of what cleaning services we cover, please check out our Core 14 services or Contact Us with your own specific requirements. These include many different areas of your domestic & residential home and business that we will clean; for example kitchens or bathrooms, and then separate floors and windows. As a local Walsall cleaner we also bridge the gap between cleaning and other areas of running any home or business, such as the decor and furnishings, housekeeping, and we are pleased to provide an ironing service. We like to actually come and see the area you’d like us to clean, and understand what your requirements are. Once we know what you need, we will make sure just the right cleaner in Walsall is available for you from our pool of cleaning experts. They are all vetted and experienced, meaning that you are in our capable and safe hands – check out our 7 Core Factors about all of our cleaners to assure you that you our receiving this great service. Our cleaners cover Walsall and all the areas within and around, including Aldridge, Brownhills, Reedswood, Pelsall, Willenhall and Bloxwich. Also in the south, to Wednesbury, Pleck, Delves, Yew Tree, Great Barr, Barr Beacon, and Daisy Bank. We realise the importance of a locally-based service, and so, once we know where you need us to clean we will get right on to making sure the right cleaner can do this geographically as well as having the best level and area of experience and expertise for your specific needs. If for some reason we cannot meet this aim, then we will be honest and tell you straight away. 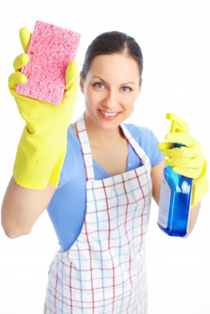 We also have our blog with all kinds of useful tips and tricks to not only have the best cleaner service, but to help you to save that cash and do it yourselves; we have all kinds of tricks-of-the-trade here to help people out. It’s amazing how you’ll often come across those little niggly problems where you need to know there and then what to do! CONTACT US TODAY for a free no-obligation quote and proposal, or to answer any other questions - we guarantee to offer the best price and most competitive cleaners in Walsall and the surrounding area.